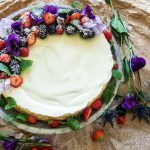 This classic New York Cheesecake is one of those desserts that taste like a piece of heaven and is equally pretty to look at. 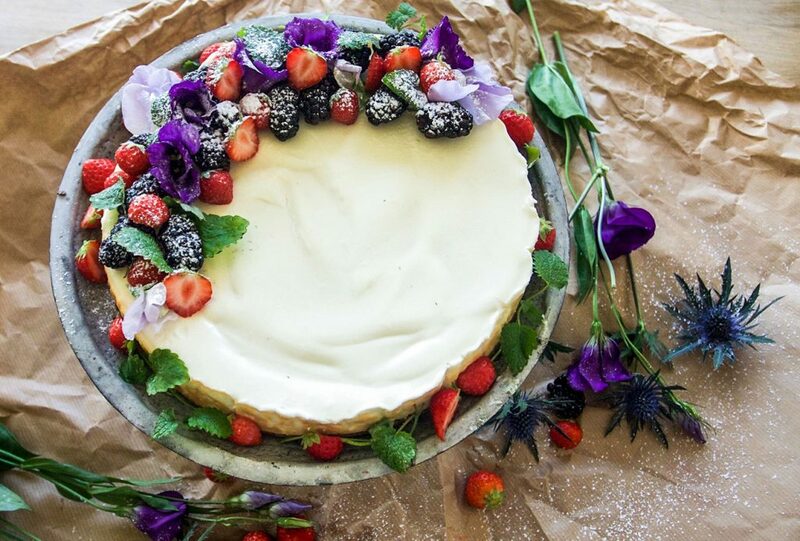 Almost like you don’t want to eat the New York cheesecake because it’s too pretty to look at. But only almost. It is a New York cheesecake after all. Now, I won’t say it’s very simple to make because that would be a lie. It’s not complicated. However, it’s takes some time. 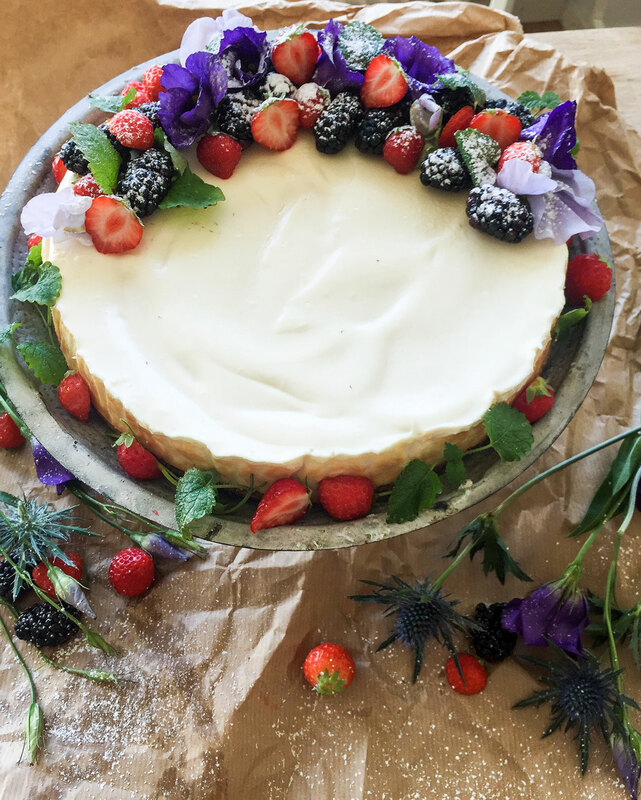 This New York cheesecake is not the kind of cake you whip up in when you are pressed for time. It will be worth the time though. 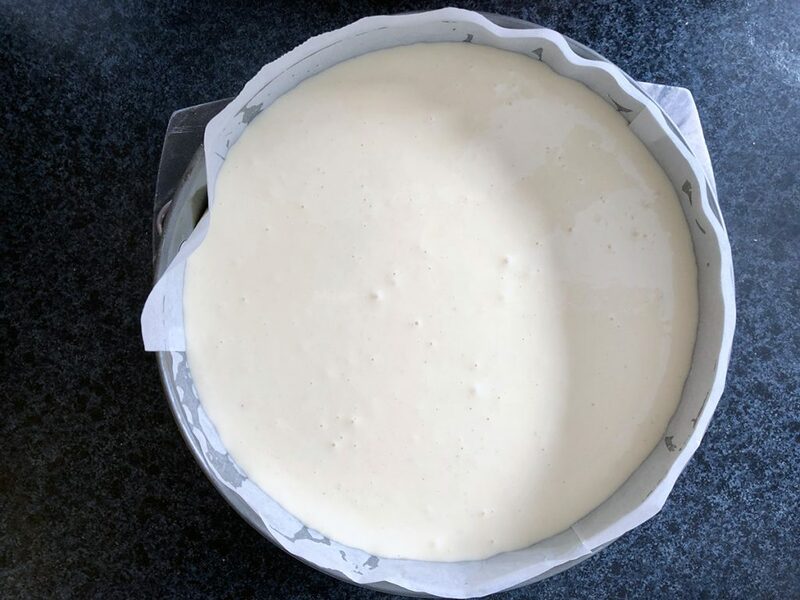 There are some steps that are really important to follow to get the New York cheesecake not to crack, become high rising and creamy. I usually make the cake the night before. That way I know it will have enough time to set in the fridge. I have done it the same day too. Still, I don’t think the results are as good as when you let it rest in the fridge overnight. Have all the ingredients at room temperature. This will help you to get the best result. Whisk the cream cheese for a few minutes before adding the rest of the ingredients. 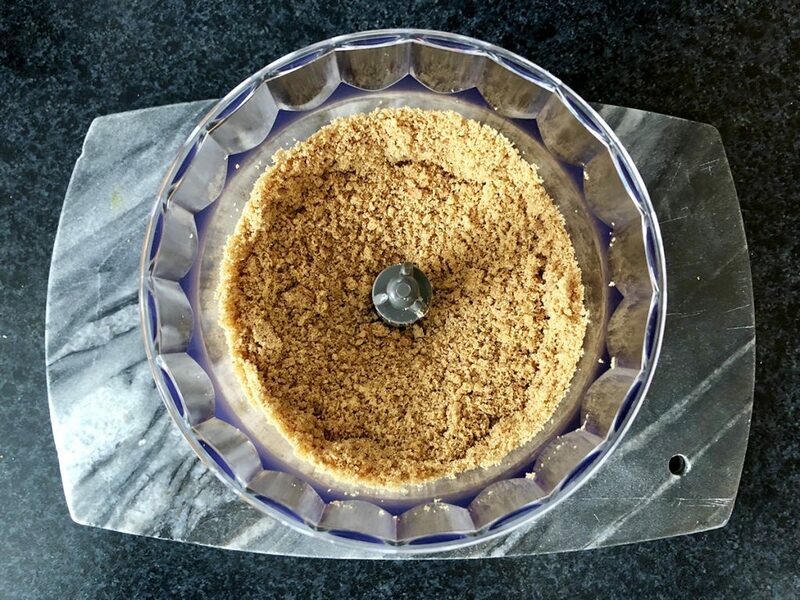 Add the other ingredients slowly and take your time whisking. Make sure there aren’t any lumps. If you see any lumps crack them with a spatula. The batter has to be lump free. Follow the temperature settings and leave the oven door a little open for the last step. Classic cheesecake dessert. Fluffy, rich, creamy and damn delicious. Set the oven to 160 C/fan and place parchment paper at the bottom of a springform. Melt the butter and use a mixer to crumb the graham crackers. Mix with the butter. Distribute the crumbs at the bottom of the springform. Bake in the middle of the oven for about 10 min. Let it cool. Raise the oven temperature to 250 C/fan. If you have a kitchen aid or similar it's time to get that baby cracking. Whisk the cream cheese until smooth (about 2 min.) Add icing sugar, sour cream, flour, a pinch of salt, vanilla powder, lemon zest and juice. Do this slowly, in order for the batter not to be filled with lumps. Add one egg at a time. Make sure that they are at room temperature. Lastly, add the egg yolk. Make sure everything is mixed evenly. Butter the sides of the form. Cut strips of parchment paper to fit the sides of the springform. Place them edge-to-edge. Butter the stripes with melted butter and attach to the sides. This makes it a lot easier to remove them later on. Fill the springform with the batter. Bake in the middle of the oven for 10 minutes. Turn down the heat to 110 C/fan. Put the timer for 25 minutes. Turn off the oven. Let the cake stay in the oven with the oven door closed for 1 hour. After 1 hour open the oven door and let the cake cool in the oven for additionally 1 hour. Meanwhile, mix the ingredients for the topping. Mix the sour cream, icing sugar and lemon. 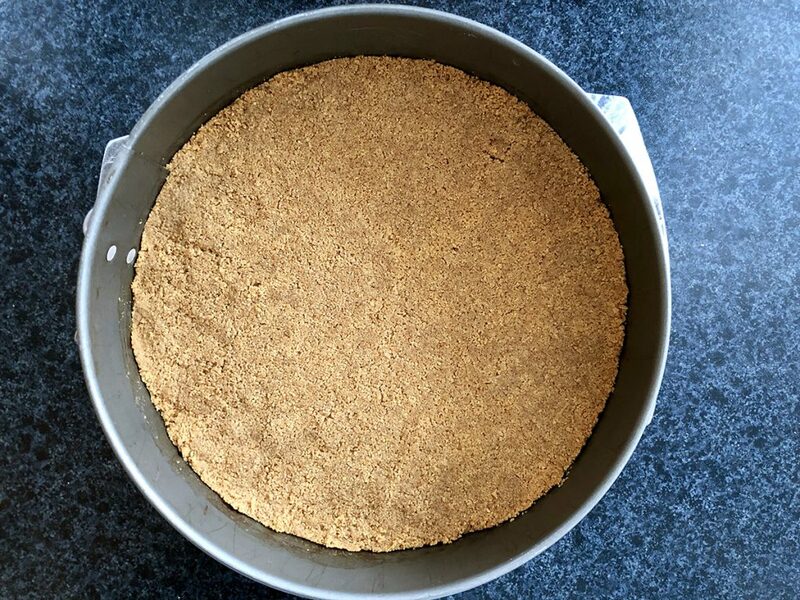 Take the cake out of the oven and spread it evenly on top of the cake. Cover the cake with foil and let it rest in the fridge for about 6 hours. Take it cake out of the fridge, place it on a serving platter and decorate. If you like this recipe or have any questions at all please free to leave a comment! And please press the share button too!